Instead of plastering your walls, why not have some beams exposed in your loft conversion? This not only reduces the amount of manual work that’s necessary to complete your renovation (and therefore the overall cost), but it creates a charming, rustic look. Take this a step further, and have matching wooden floorboards in order to develop a design theme for your loft. When designing an elegant bathroom for your loft conversion, you don’t always have to break the bank. If you do want to invest in the more expensive materials, such as marble or limestone, that’s great, but there are ways to get a sophisticated look without the expensive products. For one, ensure that there is a consistent theme within your bathroom. If your walls, floor, and finishing touches compliment each other, you’re going to be left with a much more attractive space. 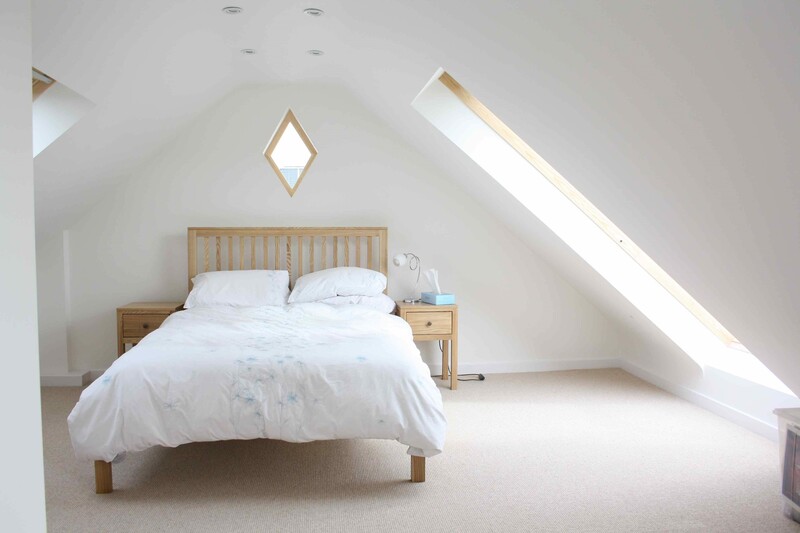 Due to the position in the home, loft conversions often consist of low ceilings and sloping walls. This means that you’ll have to adapt your interior design in order to make the best use of the space available to you. There are many ways this can be done - from slanted storage areas to tucking a bath into a lower corner. You could even think about investing in deep skylights in order to create the illusion of a larger room. After all, you don’t have to worry about peeping neighbours with a skylight. Make sure that your windows are going to be facing the best angle available to your house, as there’s no point spending thousands on a loft conversion and ending up with a view of the back of your neighbour’s chimney. This is more relevant for main dormer extensions where there's a wide view accessible from your window. Is there anything nicer than spending the day sat by the window with your favourite novel and a cup of tea? We don’t think so. That’s why a reading nook would be a great little design feature that would not only be a cute addition, but a great way to maximise the space available to you in your loft.